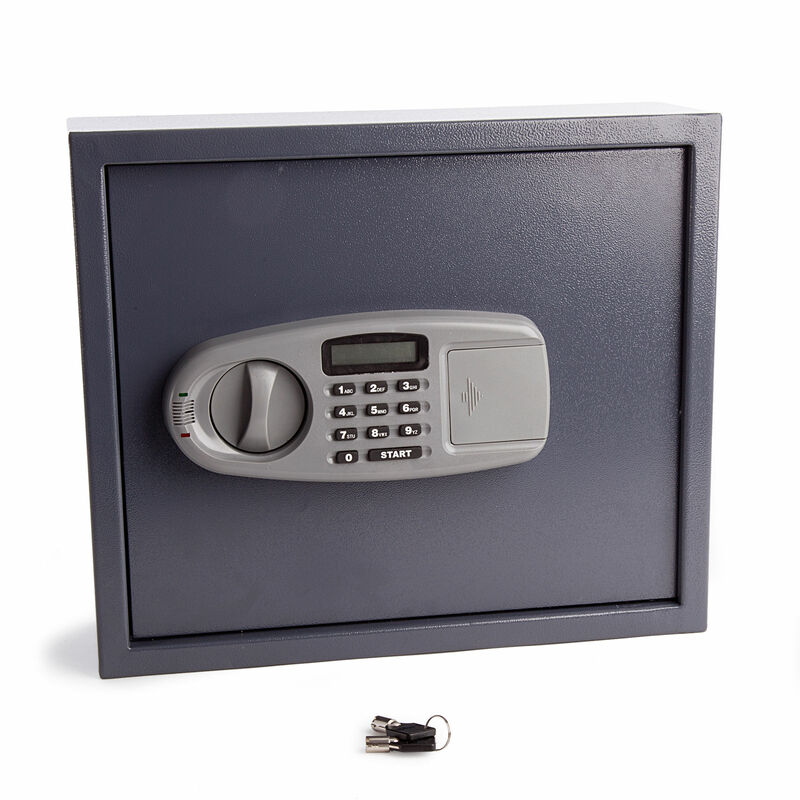 The Sterling KC60S Security Cabinet With 60 Hooks and LCD Digital Lock comes with a 2mm steel body and 4mm steel door. 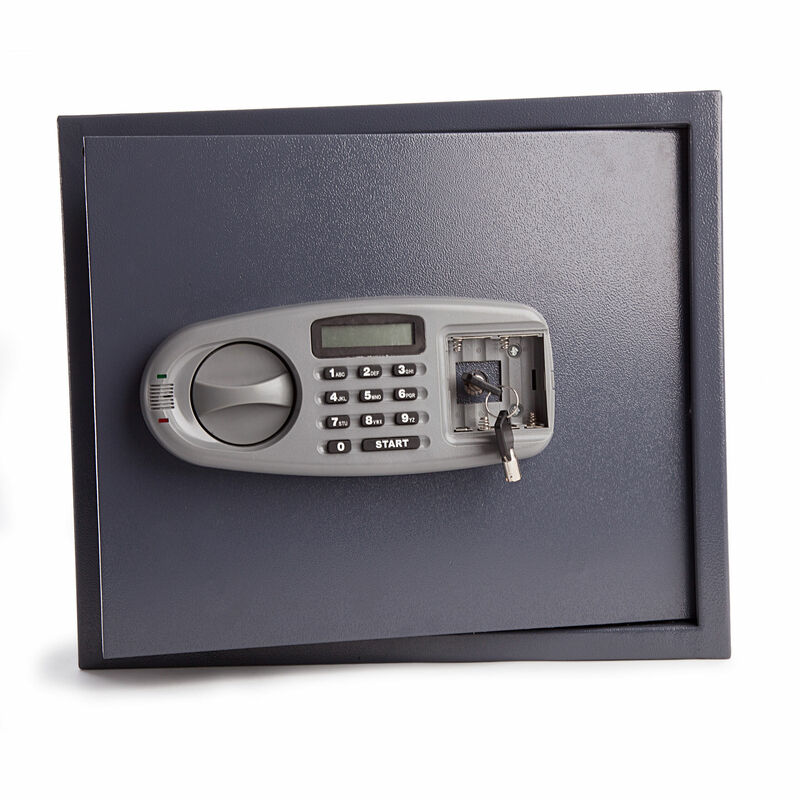 The Digital keypad on the front with LCD is powered by 4 AA batteries which are included. 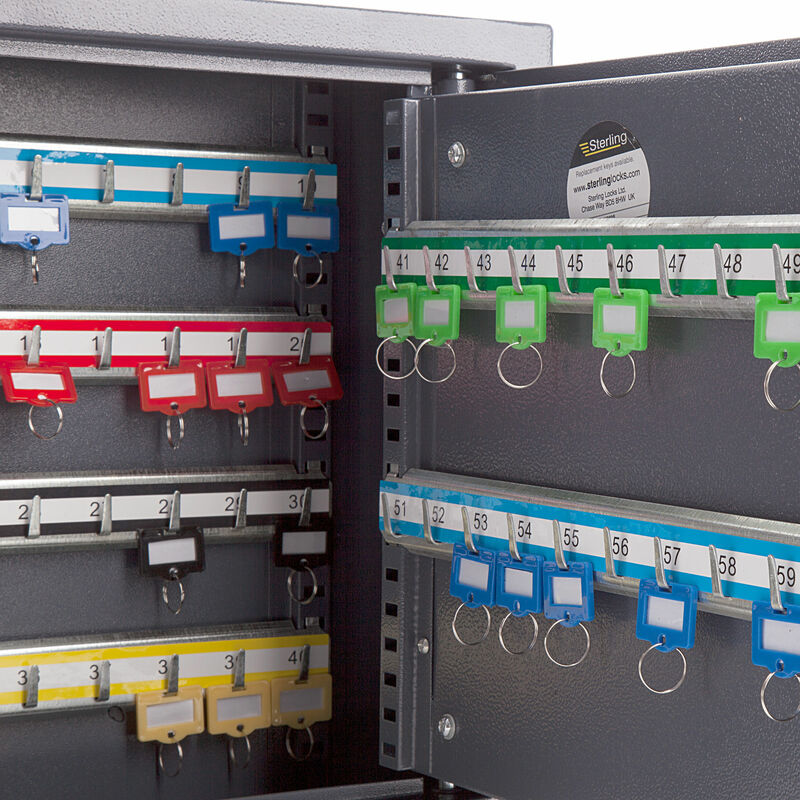 Also included are coloured key tags and fixingd to mount the cabinet. This cabinet also comes with two user codes if needed, staff and manager access.